The Meadows in Alvechurch has been full of kids, old and young, since the installation of new play and exercise equipment over the summer. 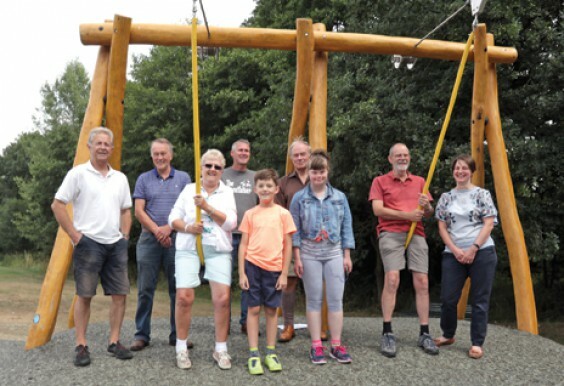 A double, 30-metre zip wire is the centrepiece, with further risky play equipment and an outdoor gym, aimed at older villagers, proving popular. The £73,000 bill for the equipment and installation was paid by a “106” contribution from the developers of Rectory Gardens, off Birmingham Road, as requested by the villager who sold the land. After a shortlist of possible equipment was drawn up by Alvechurch Parish Council, the final choice was made through a survey of local residents which resulted in 478 responses. A parish council spokeswoman said: “The project as a whole was an excellent example of collaboration between the community and different levels of Government.